Singer, Katy Perry, is a member of the regressive Left. Does she practice what she preaches? 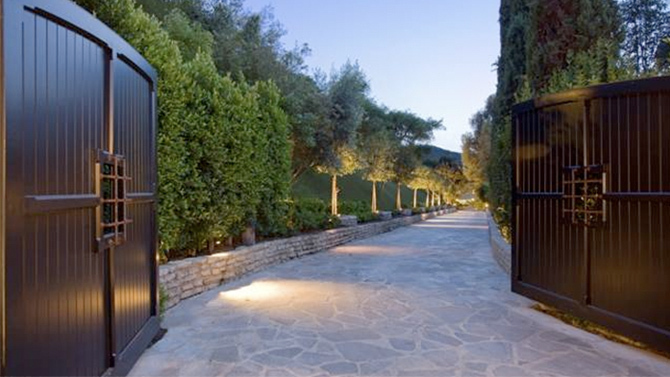 Taken a moment to feast your eyes on the entrance to her $19 Million Beverly Hills home in the photo above. It’s kind of hard to avoid the massive gates/walls she has erected to keep out kidnappers, rapists, whacked out fans, the press, rabid paparazzis, panhandlers, and the Little Sisters of the Poor. Why does she need the walls? Can’t she just coexist? Ms. Clinton has some pretty impressive gates too. They ALL do…and armed guards standing guard at all times, but they dont want us to own guns.